As the local saying goes, the Ashley and Cooper Rivers meet to form the Atlantic Ocean. Travel up the Ashley River past I-526 and nestled within its natural beauty is Ashley River Commons, a new waterfront community that offers attractive, affordable town homes and a variety of on-the-water amenities. Ashley River Commons' waterfront is located within the area of the Ashley River designated a South Carolina Scenic River in June 1998. This community provides rare access to the 24-mile stretch of the State Scenic River, within which one can experience the tides of the Atlantic Ocean, a blackwater swamp and the history of South Carolina. Drayton Hall, one of the Charleston area's historic plantation homes, is just across the river from this planned community. Spacious two- and three-bedroom, 2.5-bath town homes are offered at Ashley River Commons, with the option of either a two- or three-story unit. With prices starting at just $119,900, these town homes make waterfront living near Charleston affordable. If you purchase a two-story unit, you'll enjoy an open floor plan in the living area that is perfect for relaxing or entertaining. Off the living area is a patio with storage space � some units include a detached single-car garage. Upstairs you have the option of either two or three bedrooms. The two-bedroom unit has 1,260 square feet and the three-bedroom has 1,606 square feet. If a three-story unit better suits your needs, a single-car garage is under the town home with a bonus room on the same level, plus a patio with storage space. Up a flight of stairs is the living area with its open floor plan. On the third level you also have the option of either two or three bedrooms. The two-bedroom unit has 1,665 square feet and the three-bedroom has 1,847 square feet. Enjoy the surrounding natural beauty from the second- and third-level porches. The grounds of all units are fully landscaped and maintenance free. 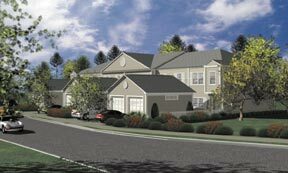 Another advantage of owning a town home at Ashley River Commons is membership at the River Club. Members have access to three tennis courts, a large swimming pool and a clubhouse. To enjoy water activities on the Ashley River, there is a boat ramp with 120-foot dock with a 20' x 20' fixed pier head and a 10' x 40' floating dock. Whether tennis is your game, you enjoy entertaining friends and family or you find enjoyment with water activities, there is plenty of fun at the River Club. When you're not enjoying the amenities or relaxing at your town home, traveling around town from Ashley River Commons is convenient. Because it is located close to I-526 and I-26, driving to Charleston's historic downtown or one of the beaches is easy, and it is only minutes from Charleston International Airport. Also close by is one of the County's public libraries and the site of a new middle school slated for construction on the property next to Ashley River Commons. Become an Ashley River Commons town home owner and enjoy your new home, with its picturesque views, on-the-water amenities and convenient location. Visit the Ashley River Commons office off Dorchester Road to learn more about this affordable waterfront town home community. The office is open seven days a week.